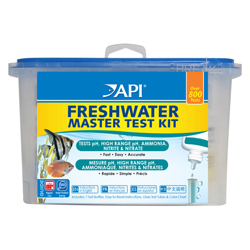 API Pond Master Liquid Test Kit A complete kit for testing pond water. Fast, easy and accurate tests. Includes wide range pH, Ammonia, Nitrite and Phosphate tests.